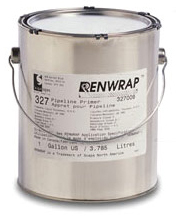 Tape & Primer Supplies ..
Renwrap® can be applied over a wide range of temperatures with good adhesion on both plastic and F.B.E. pre-coated pipe. Available in 10, 12 and 20mil thickness for use on small diameter pipe joint, tees and ells. 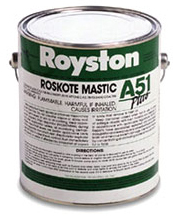 Can be applied by hand but machine application recommended. 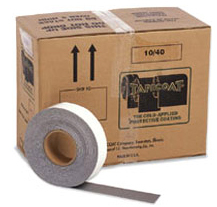 A heavy duty joint and hand wrap coating tape designed for hand wrapping field joints, fittings, ells and tees. Compatible with coal tar, fusion bond epoxy, asphalt and polyethylene pipeline coatings. Available in four thicknesses’ for both small and large diameter pipe. For application by machine or hand brush to all kinds of pipe surfaces from rough to smooth. Easy to apply, fast setting and low cost. Protective coatings recommended wherever corrosion and abrasion are a problem on steel, wood and concrete surfaces. A new technology that features a cold-applied tape with multiple-alloy polymers for use both above and below ground. Designed to protect the pipe from corrosion and electrolysis. With an integrated primer, Tapecoat H50 Gray is resistant to UV rays, thermal expansion, impact and abrasion. A 50 mil cold applied tape coating for in serve temperature of 120°f. (48.89°C). It is used for coating pipe, pipe joints, fittings, couplings, tanks, cable and other metal surfaces. Application can be by hand or machine while removing the release liner and spirally wrapping with a minimum overlap. Complete corrosion protection system with a sealant and a water proofing system. 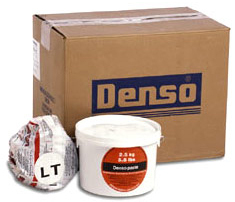 Formulated from petrolatum in the form of pastes, mastics and impregnated tapes and cords. Cold applied, pliable, durable and easy to apply.